The 2013 Cannes Film Festival is up and running, but there remains some films from last year's slate that are still waiting for their time in theaters. 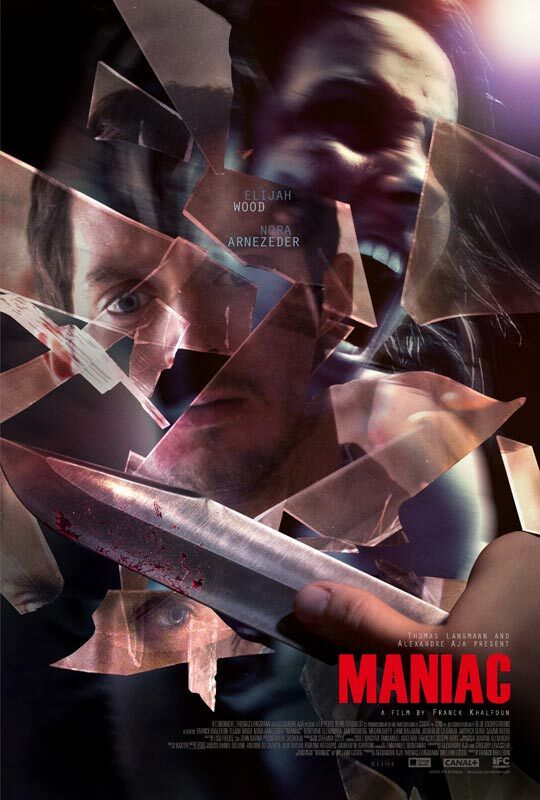 One such film is Franck Khalfoun's Maniac. A remake of the horror film from 1980, the flick premiered at last year's Cannes celebration and has been touring the globe ever since, bouncing around from festival to festival. With it having secured distribution from IFC Midnight, however, now is the time for U.S. audiences to experience the terror. You may remember the rough red band trailer that debuted around this time last year, but this new one, released over on Apple, is honestly just as creepy. Elijah Wood has earned some solid reviews for his performance as the lead in the film, and I enjoy the style on display, mixing in a bit of first person perspective. With the electronica soundtrack, bright colors and brutality you could almost mistake it for a Nicolas Winding Refn movie. Scripted by Alexandre Aja (The Hills Have Eyes), Grégory Levasseur, and C.A. Rosenberg, Maniac stars Wood as Frank, the quiet, withdrawn owner of a mannequin shop who begins to fall for a young artist. The problem is that Frank also happens to be a homicidal lunatic, and the interest quickly turns into a dangerous obsession. Nora Arnezeder co-stars. In addition to the new trailer, Apple has also debuted a brand new poster, which you can see below. Maniac will be in theaters on June 21st.